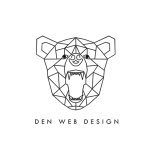 The players have competed in local leagues and tournaments together since 2003. 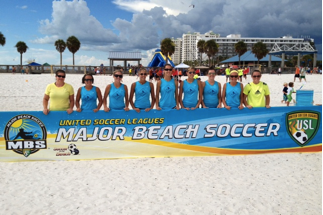 Beyond the seasonal play in Charlotte with SportsLink the team travels together playing on a variety of pitch surfaces ranging from 6 v 6, full field and beach soccer tournaments with Major Beach Soccer and NASSC. 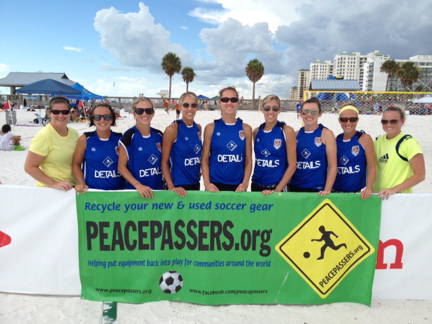 Each player on the Peace Passers women’s team recognizes the influence soccer has brought to their lives, for that reason they want to help bring philanthropic awareness to the organization. Through the team’s tournament play they are able to compete in the sport they love while representing a charity that creates positive impact for the world’s game! A huge thank you to this special group of women for representing the mission of Peace Passers and especially to the players that donate financially to support the cause!